This reader is designed to help intermediate level learners of German become more fluent in the areas of reading, understanding and usage. 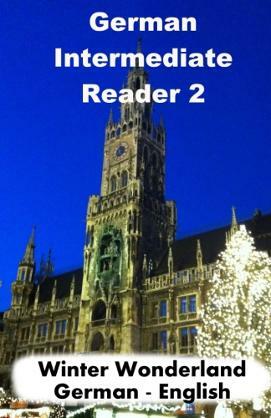 Join the Schmidt family and their relatives as they go about their daily lives in Munich. What is the terrible secret of an old Vase? Is German really spoken in parts of Africa? How do Germans go through the festive season? The ten chapters cover a wide range of common vocabulary in various settings and will help the learner to interact with German native speakers. Vocabulary and common language functions are repeated many times to help reinforce the learning process. In each chapter you will find the original German text side by side with an English translation. The purpose of the translation is to help you better understand the German text, so the English version follows the German original closely.